Waves. 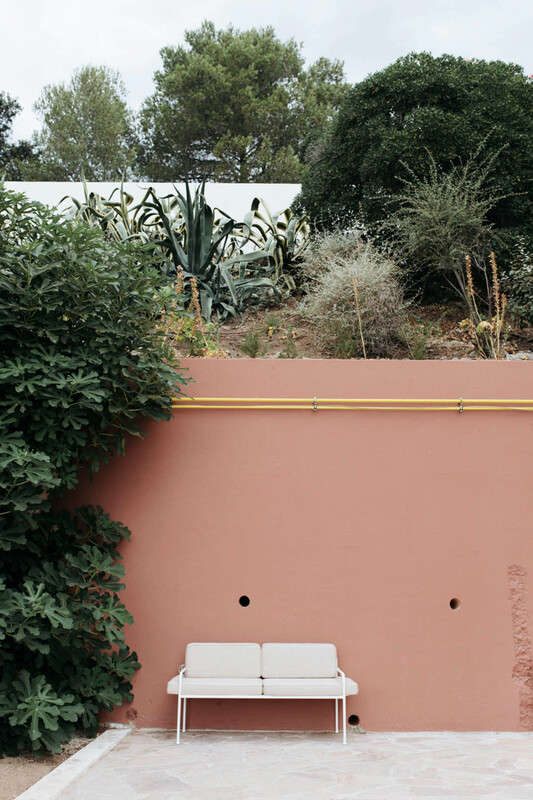 That’s the sound and spirit of Hôtel Les Roches Rouges. 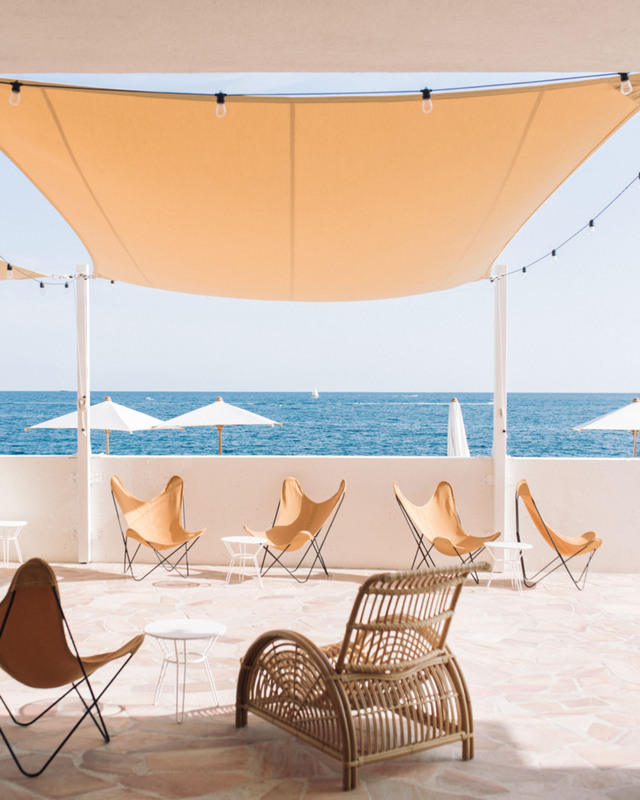 Set just outside the town of Saint-Raphaël, on the glorious coast between St. Tropez and Cannes, Les Roches Rouges owes a lot of its charm to the stunning natural environment. 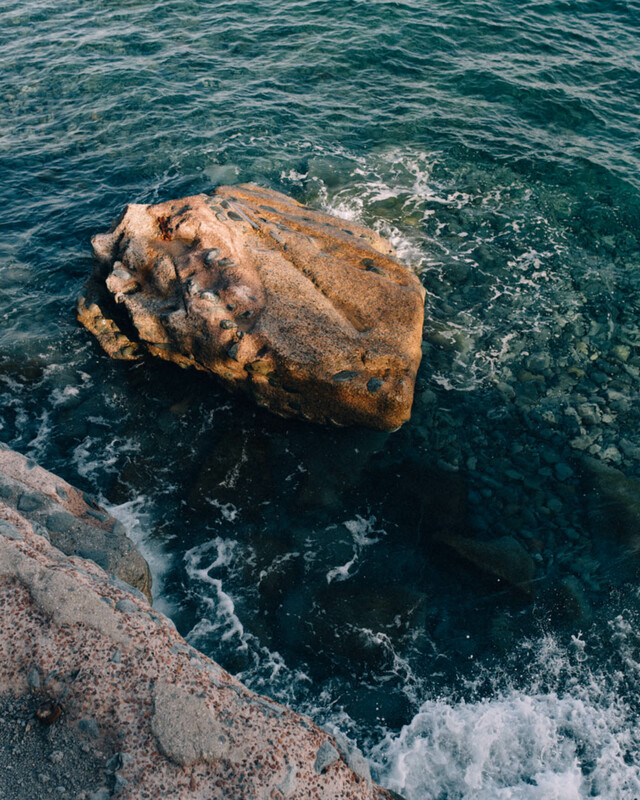 You wake up to the sound of waves, and fall asleep with it, and in between, hopefully, have a lot of free time on your hands just bathe in the sun and float in the water. Les Roches Rouges was opened in May 2017, but the hotel building dates back to the late 1950’s. 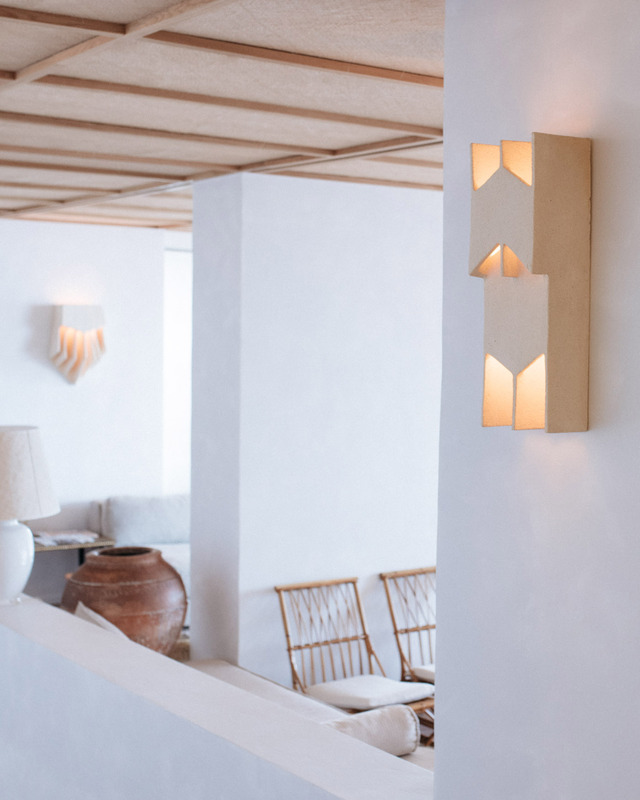 To rework the structure, Parisian based architect duo Festen focused mainly on stripping away unnecessary decorations and bad renovations from the past decades to emphasize the clean modernist lines of the original architecture, and to put the stunning landscape and seascape at the center of the design choices. 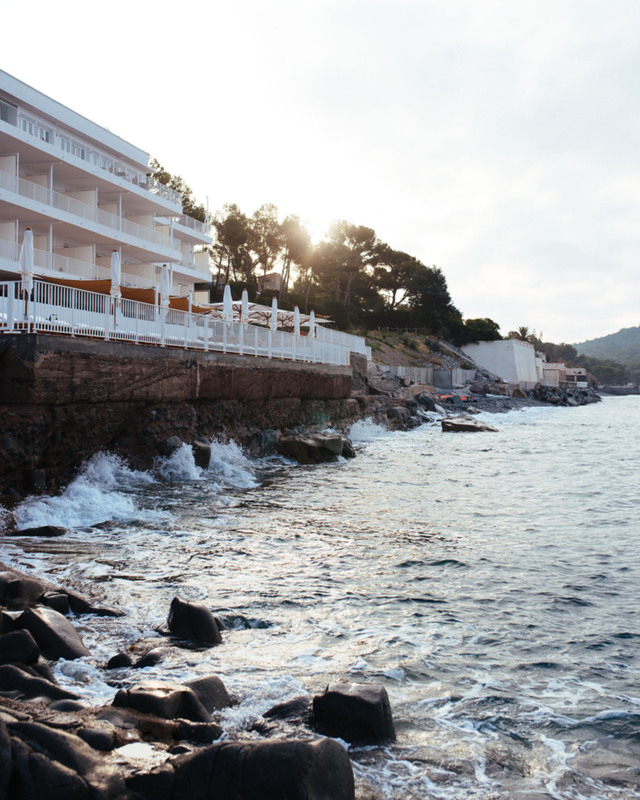 A hotel with a private beach is not too common on Côte d'Azur. 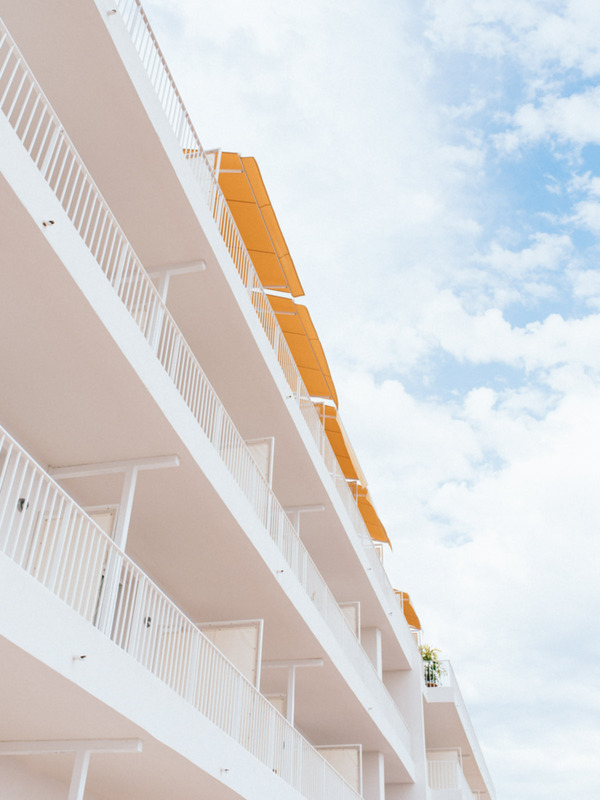 With 50 rooms and suites, two restaurants, and several lounging areas both indoors and outdoors, Les Roches Rouges is well designed for a lazy stay, and closest to a modern resort I have experienced on the area. 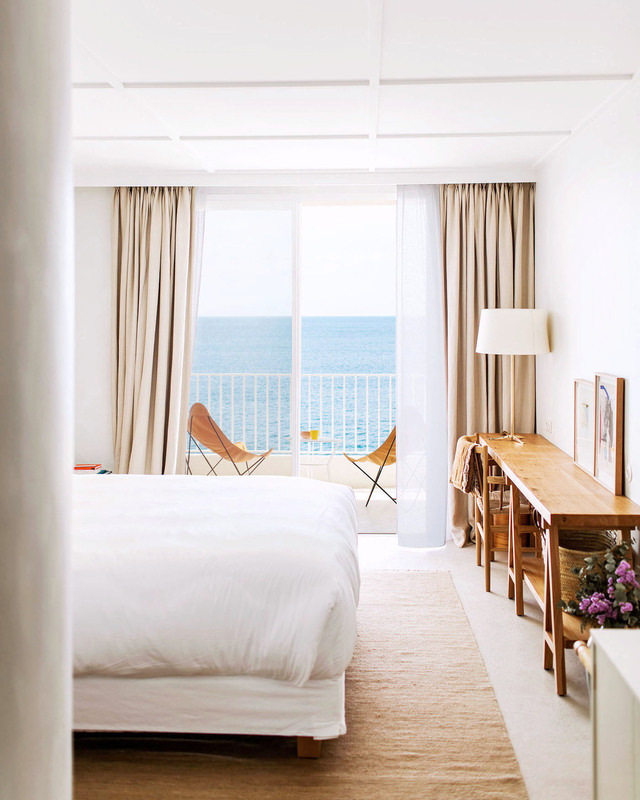 Most rooms have a private balcony with an ocean view. The furnishing is minimalistic but warm, and while you can spot some carefully sourced vintage pieces here and there, the overall feel is fresh and contemporary. 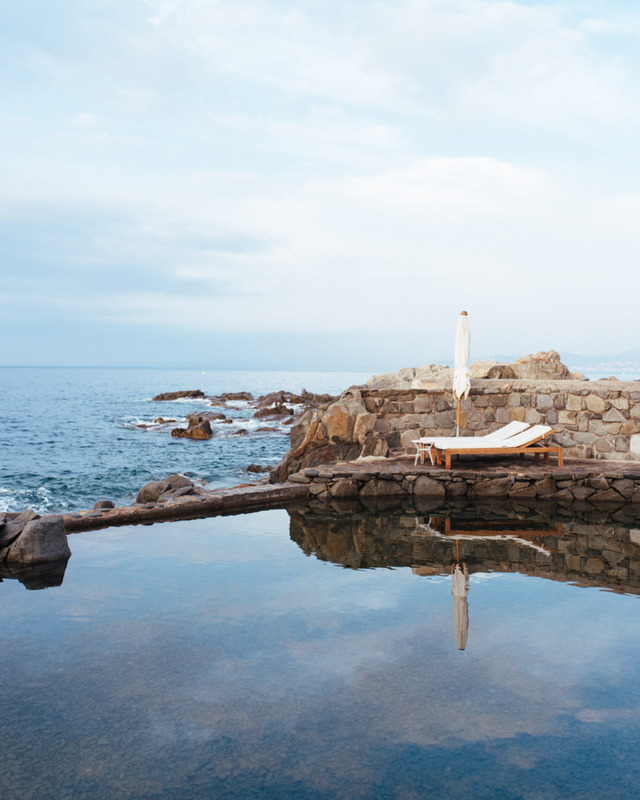 Besides a regular pool and the sea, the natural seawater pool adds a sensual element and is gorgeous to look at. The hotel also has a spa but this time we were too drawn to the ocean and outdoor life to book a treatment. 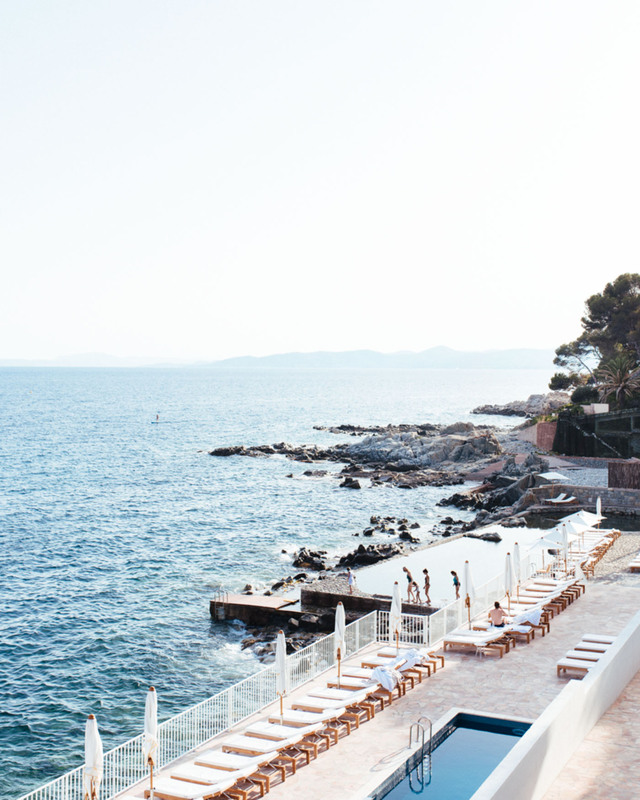 A finishing touch to our little Côte d'Azur roadtrip was the coastline drive from Saint-Raphaël to Cannes. Of all places, it reminded me of driving the Highway One in California, only here the distances are shorter and everything is cute and compact. Along with more soothing waves, the coastline is where you will also find the gigantic red rocks that the hotel is named after. Third image from the top © Benoit Linero, all other images by me.